Ustedes no me creerán, pero tuve una experiencia más hermosa temprano este noche. Ha sido lluvia todo el tarde e yo estaba esperando en mi oficina para la lluvia a terminar como yo leía manuscritos (TA trabajo). Estaba muy tarde y la lluvia no parece a parar. Así, yo decidido a caminar porque era oscura y estaba sola. No tengo miedo, porque mi barrio es mucho seguro. Pero yo soy Americana y desde los barrios urbanos. Mi papi siempre les dice cada de sus niños, “¡Toma su tiempo y cuídate!” Es algo que está en mi mente aún hasta hoy mismo. Como yo caminaba un perro (mi Pero Caballero) aparecido desde ningún lugar y empezado caminar conmigo. Él dijo nada y simplemente estaba como un ángel custodio mandaba a proteger me. En el principio él caminaba a frente de mí y cuando yo paraba él paraba. Cuando yo caminaba, él caminaba. En un punto pareció cansado de mis pruebas, y simplemente caminaba detrás de mí. Los perros libre son muy común en Chile, pero ésta estaba diferente, especial, como si me le conocía. Cuando llegábamos a cerca de mi casa él paraba a la esquina y miraba hasta que yo entraba la puerta de mi casa. Nunca ladrado, nunca gruño, sólo caminaba conmigo en silencio hasta yo llegaba a mi casa. Eso es por qué me le llamaba El Perro Caballero, mi Ángel Custodio de la noche. Perro Caballero fue tímido de la cámara. You all will not believe me, but I had a beautiful experience earlier this evening. It had been raining all afternoon and I was in my office waiting for the rain to stop as I graded manuscripts (TA work) . It was very late and the rain did not seem to want to stop. So, I decided to walk home because it was getting dark and I was alone. I am not afraid, because my neighborhood is very safe. But I am American and from urban neighborhoods. My daddy always tells each of their children, “Take your time and be careful!” It’s something that’s in my thoughts even until today. 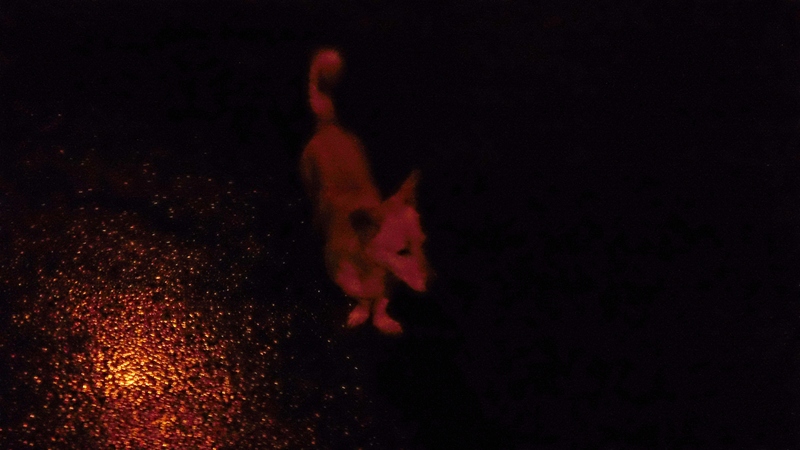 As I was walking a dog (my Gentleman Dog) appeared from nowhere and started walking with me. He said nothing and just was like a guardian angel sent to protect me. In the beginning he was walking in front of me and when I stopped he stopped. When he walked, he walked. At one point seemed tired of my tests, and simply walked behind me the rest of the way. The “free dogs” roam and are very common in Chile, but this was different, special, as if I knew him. 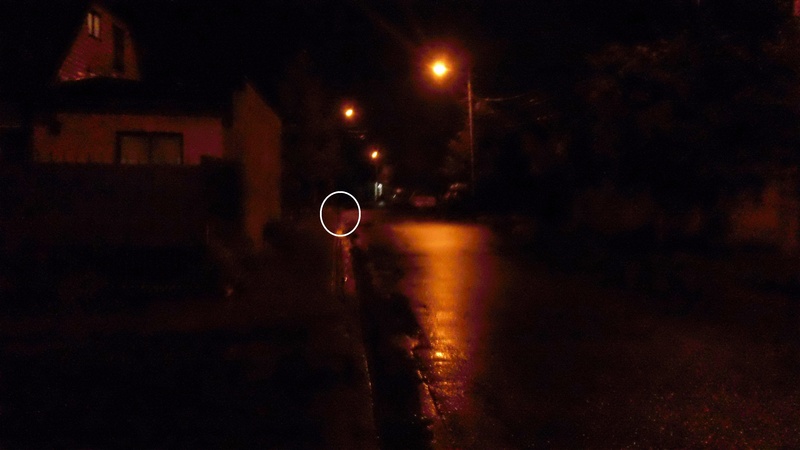 When we reached near my house he stopped at the corner and watched until I entered the door of my house. He never barked, never growled, just walked in silence alongside me until I got home. That is why I called him the Gentleman Dog my Guardian Angel of the night. My Guardian Angel of the Night is wayyyyyyyyyyyyyyyyyyy back at the corner literally watching me until I safely enter the gate at my house. This entry was posted in Blog Archives, People and Culture, Visiting Scholar and tagged Gentleman Dog, Graduate Student, Guardian Angel, Los Perros Libre de Chile, Man's Best Friend, Visiting Scholar, Working Late. Bookmark the permalink. Claro, estoy en acuerdo. Fue una experiencia muy raro pero genial.